Sm SysTems is the sole manufacturer, supplier and installer of quality attenuators / silencers, this is real and for sure. These attenuators can be potted or not potted depending on the size of the silencer. Have you ever thought of driving a car without a silencer? That would make a big sound or noise that cannot be tolerated when driving either inside or outside the car. Attenuators are critically important in the ducting or spiral ducting installation. This pretty much applies to any kitchen extraction systems, offices, malls etc. Silencers reduce the fans noise from being heard inside the building or outside the building. I cannot imagine an installation without an attenuator(s) unless the installation is for a noisy factory not in the offices. 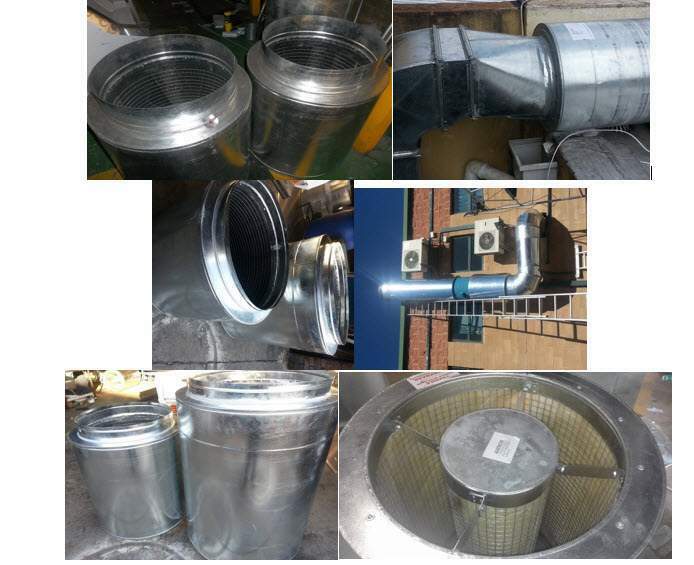 Sm SysTems always ensure that installations are accompanied with attenuators for the purpose of good, perfect and appropriate practice universally used in duct or spiral duct installations. Depending on the site and client requirement, Sm SysTems manufacture square or round attenuators / silencers as always at the best quality as Sm SysTems standard operation. Contact Sm SysTems for order of this product, we assure you good service, good products and good quality.